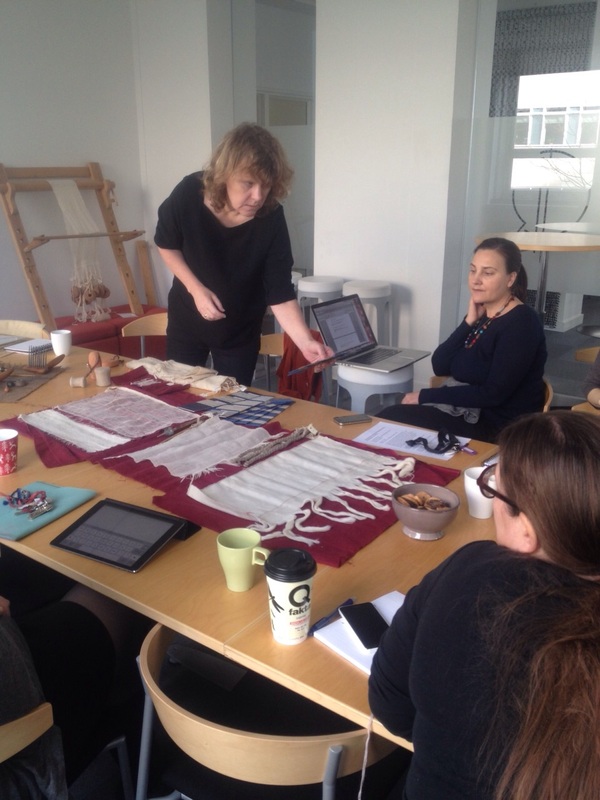 My research fellowship at the Centre for Textile research has involved extensive training in hands-on work on historical textiles and clothing. I have taken a number of courses, learning how historical textiles were actually made and dyed, and what kind of stages were involved in the processes of production in the fifteenth and sixteenth centuries. You can read about many of them in this blog. 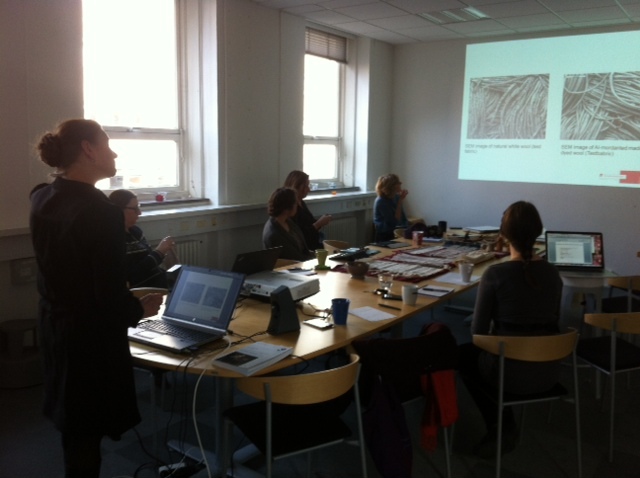 This approach has provided me with new experiences and perspectives to dress and textile research. However, at the same time, it has left me somewhat puzzled with the question of what does it actually mean, methodologically, for an early modern historian such as myself to integrate these experiments in my research? 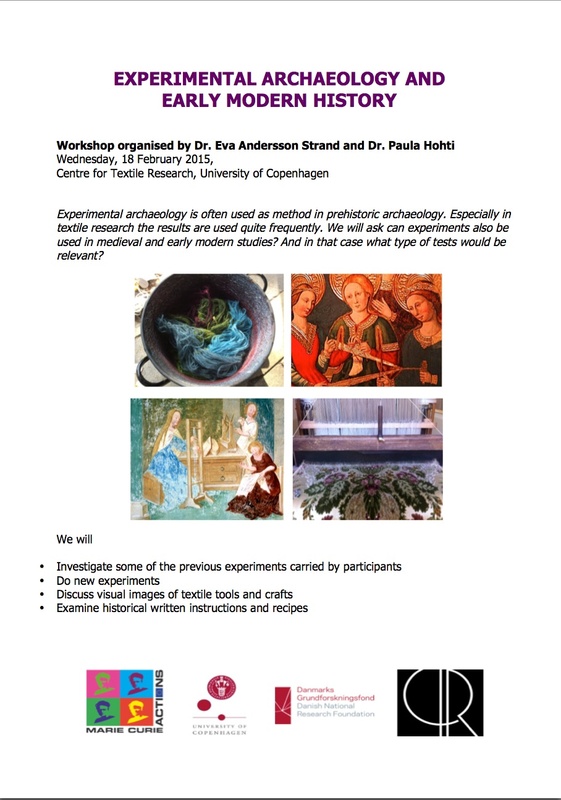 This question inspired me together with my colleague, the archaeologist Eva Andersson Strand, to organise a workshop on experimental archaeology and early modern history, and to investigate how early modern history could benefit from experiments as part of the academic historical textile research. As experimental archaeology is a well-known method in prehistory archaeology, we first looked at some of the experiments that Eva and her team members have done, both as part of their research on the Viking Age settlements as well as in connection with her research on textile tools in the Mediterranean area in the 3rd and 2nd millennia BC. 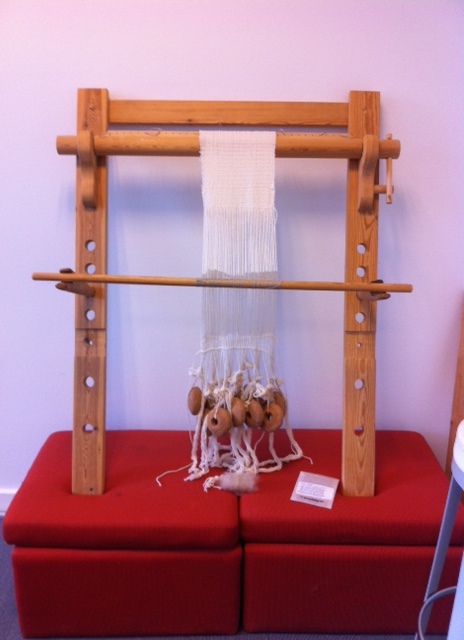 Together with her we learned what historical tools can tell us about the textile production and about the society. Eva’s team, for example, has recorded all the textile tools (spindles, whorls, loom weights) from several archaeological sites in the Mediterranean area. 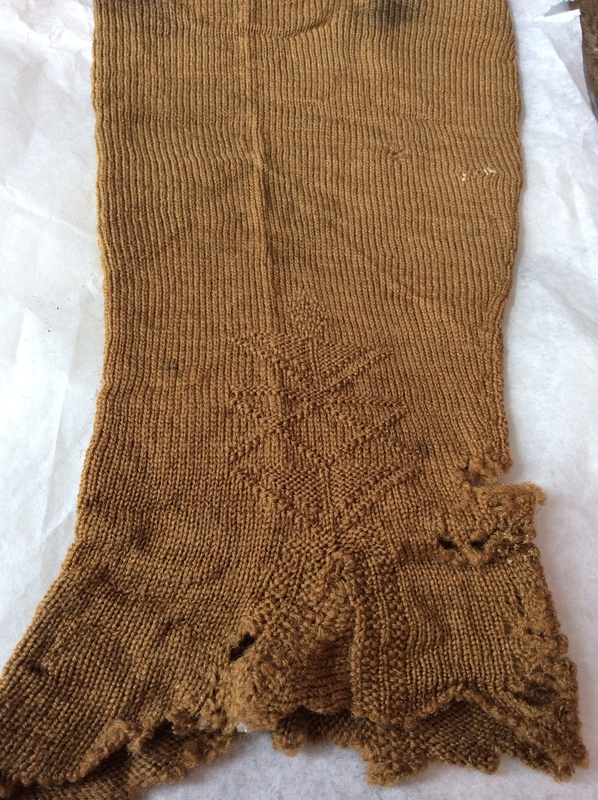 This information has not only allowed the team to evaluate the extent of textile production in the area in the 3rd and 2nd millenia BC, but the tests that they carried out, using reconstructed tools, also enabled the team to estimate what types of fibre and textiles might have produced in the area. 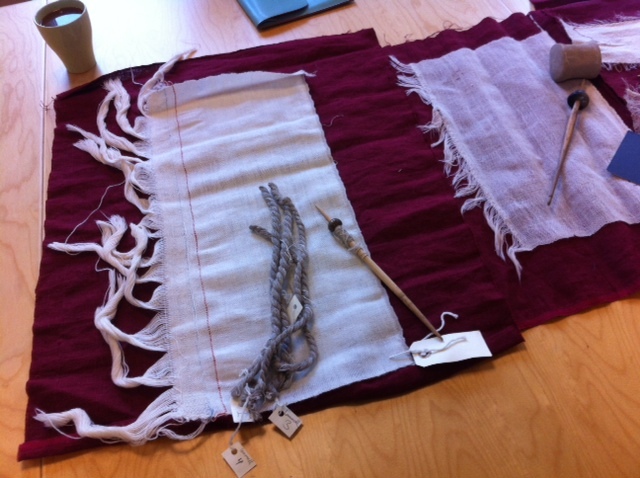 We were then given a detailed description of the experiments the National Museum’s conservator Maj Ringgaard made as part of here Ph.D., investigating how different types of dyestuffs and mordants impacted on the preservation of the colour and fibre in historical textiles, such as the beautiful knitted stocking below right. Her tests of colour samples that were covered in soil and put away for months demonstrated not only that some dyestuffs, such as madder, helped to preserve the textiles, but she also found out that some dyes, including cochineal and madder, were able to migrate from one textile sample to another. This is important information to consider, especially when one uses dye analysis as a part of the historical inquiry. We ended the day with Charlotte Rimstad’s and Camilla Luise Dahl’s presentation of a 17th-century silk cap, constructed of five layers of silk and cardboard (used to stiffen the cap), discussing the possible benefits of the reconstruction of the coif. As I am an art historian, I wanted to include the pictorial images in our investigation. 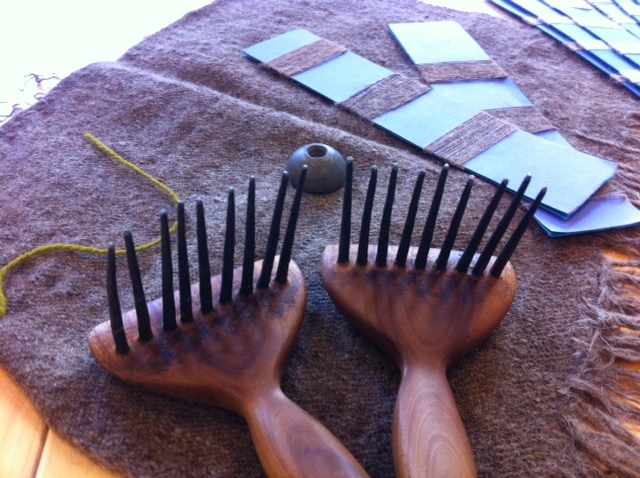 Before closing the workshop, we looked at some beautiful images of past textile tools and techniques and delighted in the discoveries that we noticed in the small details of the pictures. 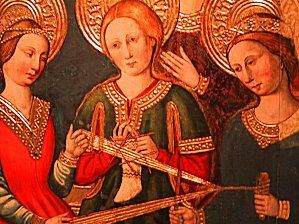 In the painting below left (Spanish, c.1460), for example, Mary is knitting a sock from bottom up using, unusually, five needles. 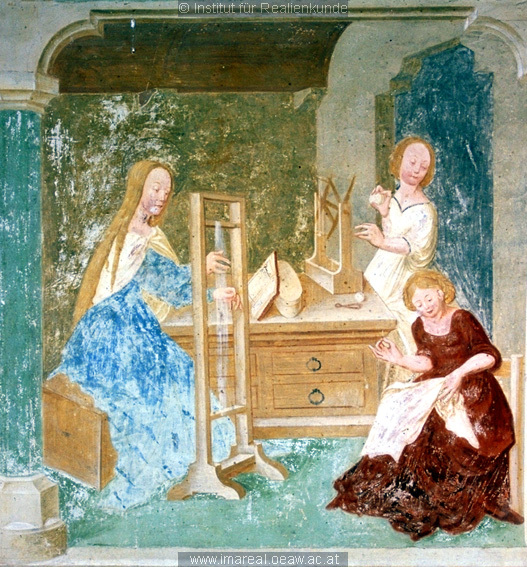 On the right (Slovenia, c. 1504), Mary is setting up a loom, and she is looking at a pattern book which is placed on the side table! This workshop was so exciting that we decided to continue the examination with an experience research workshop, organised in April. This, however, raised the crucial question of what is the difference between experience research and experimental research? The issue is hotly debated in archaeology, but generally we can say that experience research refers to the reconstruction an experience that is related to the making, using, seeing, displaying etc. of textiles, clothing or other objects, whereas experimental archaeology is a method with a set of clearly defined questions and aims in order to gain knowledge of, for example, past textile production and production methods.